The world is a beautiful place in more ways than one. Mother Nature isn’t the only one contributing to that beauty. Among the thousands of ordinary brick-and-mortar buildings making up the bulk of the urban landscape, skyscrapers are architectural and engineering marvels that rise hundreds of meters into the air, overlooking all others. The Council on Tall Buildings and Urban Habitat (CTBUH) is the official body that determines which buildings fall into the “The World’s Tallest Buildings” category. 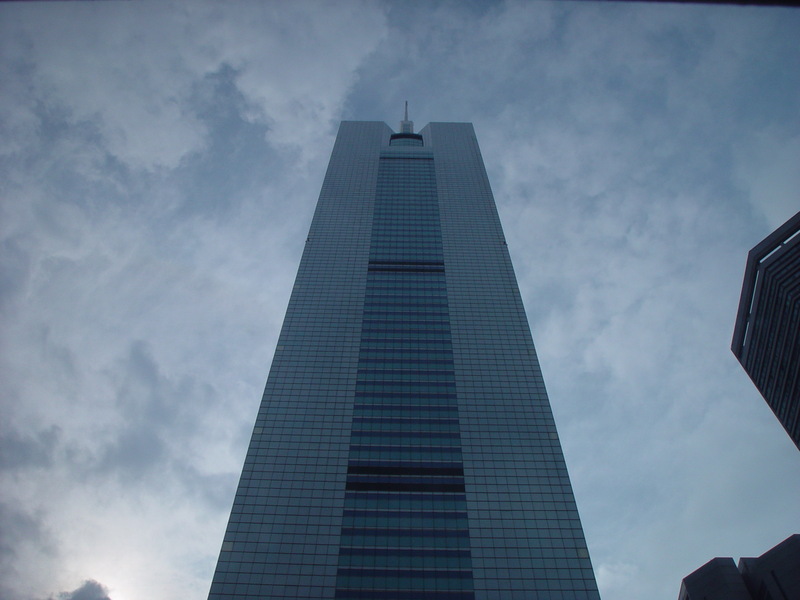 It ranks the height of buildings based on the height to the architectural top of the building, highest occupied floor, top of the roof or the tip of the building. 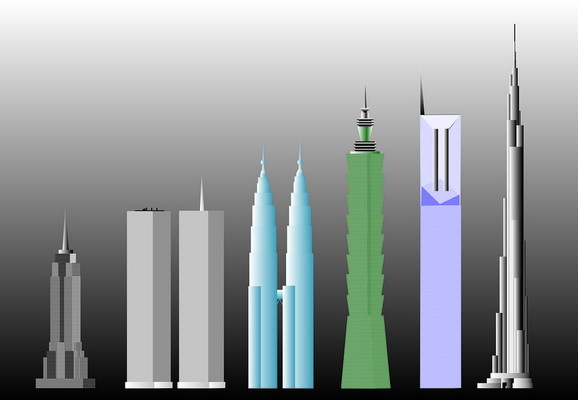 Let us look at what the CTBUH says are the world’s tallest buildings as of now. 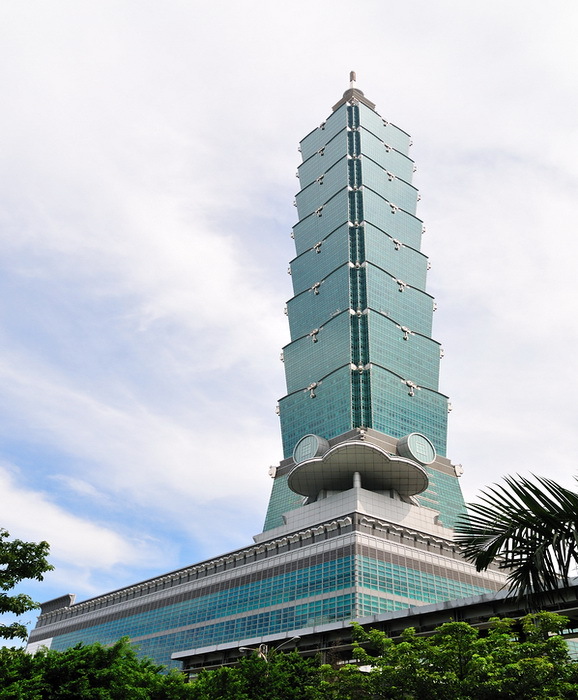 Taipei 101 became the world’s tallest building to be constructed in the new millennium and the first to cross the half-kilometer mark. The construction cost was $1.76 billion and it was completed in 2004. This multi-use steel-and-glass skyscraper was designed by C.Y. Lee & Partners and has 61 elevators. It reflects the traditional Chinese pagoda, with a soaring podium base, eight tiers of eight stories (eight is considered a number representing prosperous growth in China), narrow pinnacle tower, and a spire. The building has an 18 ft, 882-ton ball-shaped damper at the top that counteracts swaying motions during typhoons and earthquakes. Although CTBUH only takes into consideration the floors above ground level, there are 5 floors underground too. The number “101” represents not only the number of floors, but also the mailing code of Taipei’s international business district. It was hailed as one of the Seven New Wonders of the World by Newsweek magazine in 2006 and as one of the Seven Wonders of Engineering by The Discovery Channel in 2005. This super-tall skyscraper in Shanghai dominates the skyline over East China and is destined to become a symbolic icon, giving the city a new status and depicts the arrival of a new era in Asia. It was designed by Kohn Pedersen Fox and officially opened its doors to the public on August 28, 2008. It is a mixed-use building with excellent urban shopping malls at the base, a 174-room luxurious five-star hotel at the top and sixty-two floors filled with offices. There are three observation decks between the 94th and the 100th levels. It has a total of 31 elevators and the construction cost was US $1.2 billion. The most remarkable feature of this majestic building is the aperture at the top of the building. It is the 2nd tallest building in the world. The beautiful world-famous Petronas Twin Towers in Kuala Lumpur, Malaysia were constructed in 1998. The name sounds as romantic as they look together, standing side by side. These elegantly slender towers once held the title of the world’s tallest buildings before being ousted from that position by Taipei 101. Petronas Tower 1 is the 3rd tallest building in the world. Petronas Tower 2 is the 4th tallest building in the world. However, they still remain the tallest twin buildings in the world. 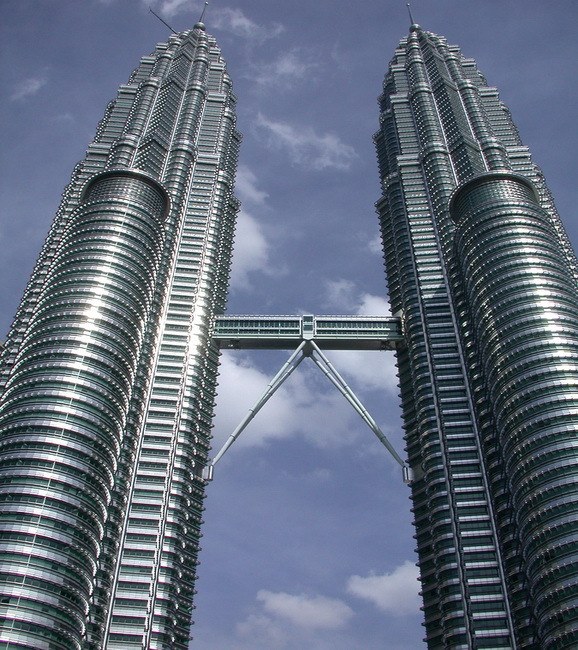 They were designed by Argentine-American architect Cesar Pelli and were built on Kuala Lumpur’s race track. The structure is made of high-strength concrete and has a curtain wall of glass and stainless steel sun shades that help diffuse the intensity of light. The major feature of the towers is the sky-bridge between the towers on the 41st and 42nd floors, which is the highest 2-story bridge in the world. Visitors are allowed on the Skyway. The sky-bridge is also meant to be used in case of a fire or for other emergencies. Located in Chicago, Illinois, The Sears Tower was constructed in 1974, and held the title of the world’s tallest building when it overtook the World Trade Center in New York. Although it is no longer the tallest building in the world, the Sears Tower is the 5th tallest and still has the world’s highest occupied floors, highest elevator ride and the highest roof deck. The top of the tower is the highest point in Illinois. 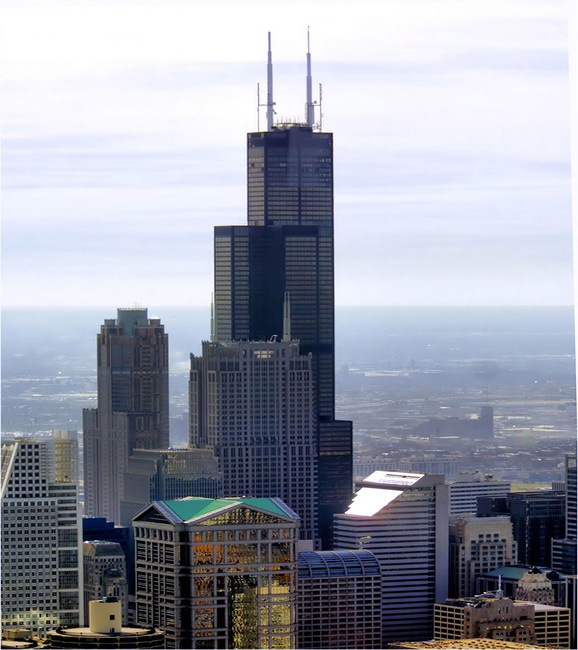 It is said that four states can be seen from the top of the Sears Tower. This tower was designed by architect Bruce Graham and engineer Fazlur Khan in a “bundled tube” system with nine squares, sheathed in a dark tinted glass curtain wall. The building leans a few inches due to its asymmetrical design and this can be felt occasionally. The Sears Tower has a separate tourist entrance and attracts more than 1.5 million tourists each year. The name of the landmark super-tall skyscraper, Jin Mao, literally means “Golden Prosperity Building.” Currently ranked the 6th tallest building in the world, it was designed by the Chicago-based Skidmore, Owings & Merrill and was constructed in 1999. It is located in the Lujiazui area of the Pudong district of Shanghai, People’s Republic of China. The architecture ingeniously combines elements of traditional Chinese culture with the modern architectural styles of the time, which makes it one of the most well-constructed buildings in China. The proportions of this structure revolve around the number 8, which according to Chinese belief signifies prosperity. 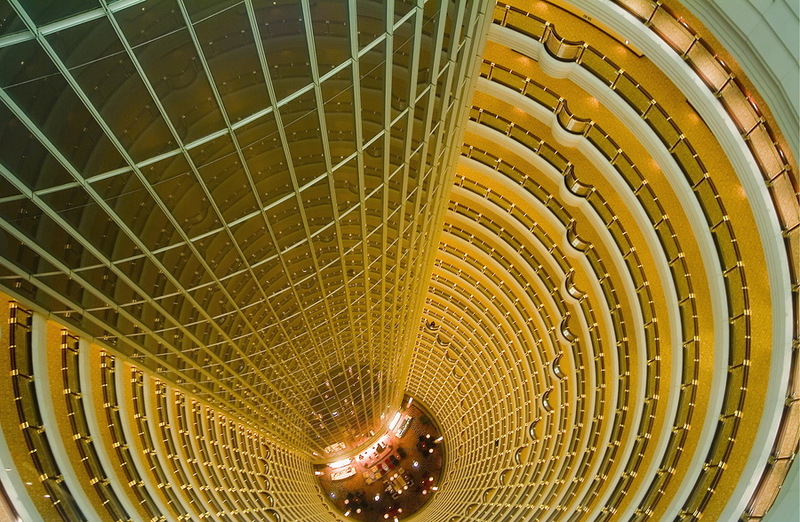 It houses the very luxurious Shanghai Grand Hyatt hotel and several offices. The construction cost is estimated to be 530 million dollars. The tower has several exhibition halls, banquet halls, entertainment venues, and an observation deck on the 88th floor that can fit about 1000 tourists. The daily maintenance of this tower is reported to be an unbelievable US$121,000. 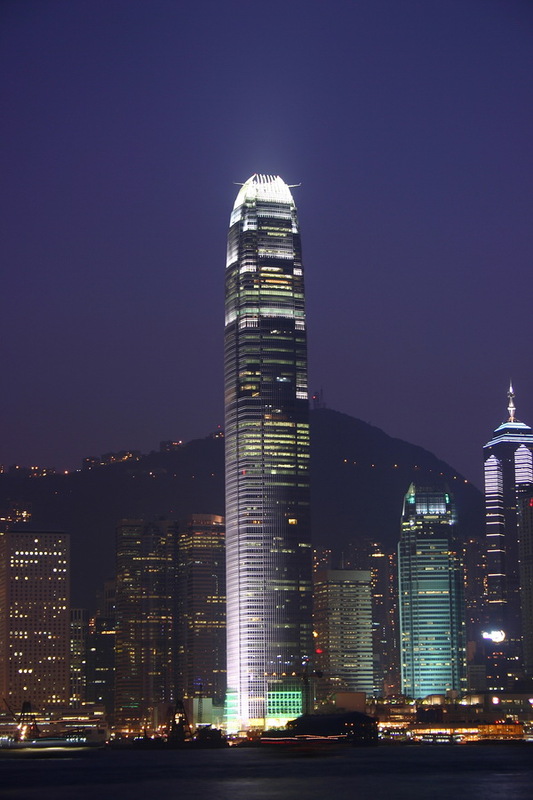 Constructed in 2003, the IFC with its two skyscrapers overlooking the Victoria Harbor is a prominent landmark in Hong Kong, China. One International Finance Center is 38 stories high. The Two International Finance Center, which is the world’s 7th tallest building, has 88 stories and has been designed to house financial firms with advanced telecommunications, featuring raised floors for better cabling and floor plans that are almost without columns. About 15,000 people can be accommodated in this building. Although there are 88 stories, there are some floors that are considered to be taboo and which are not used, such as the 14th and 24th floors, as these numbers signify evil for the Chinese. The IFC mall has an array of famous retailers and several top jewelry retailers, health & skin care and fashion houses, restaurants, and a cinema. It is one of the few buildings in the world to be equipped with double-deck elevators. The China International Trust and Investment Company (CITIC) Plaza, built in 1997, is located in Guangzhou, in the growing Tianhe District. 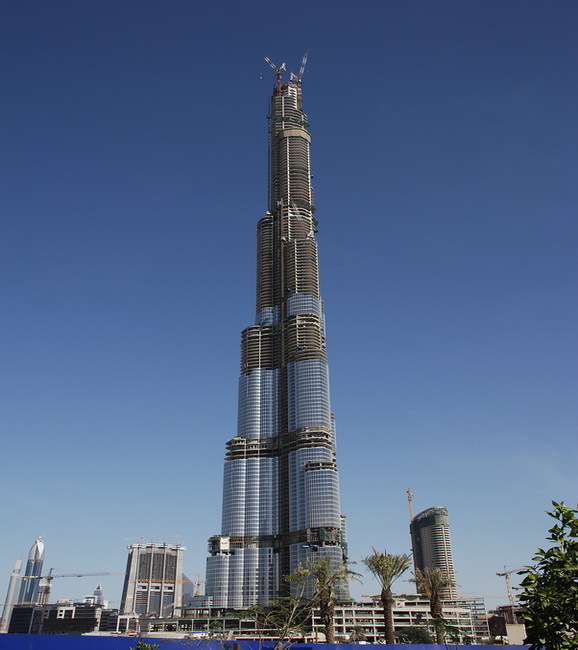 It was the tallest building in the world when it was built and is currently the tallest concrete building in the world. 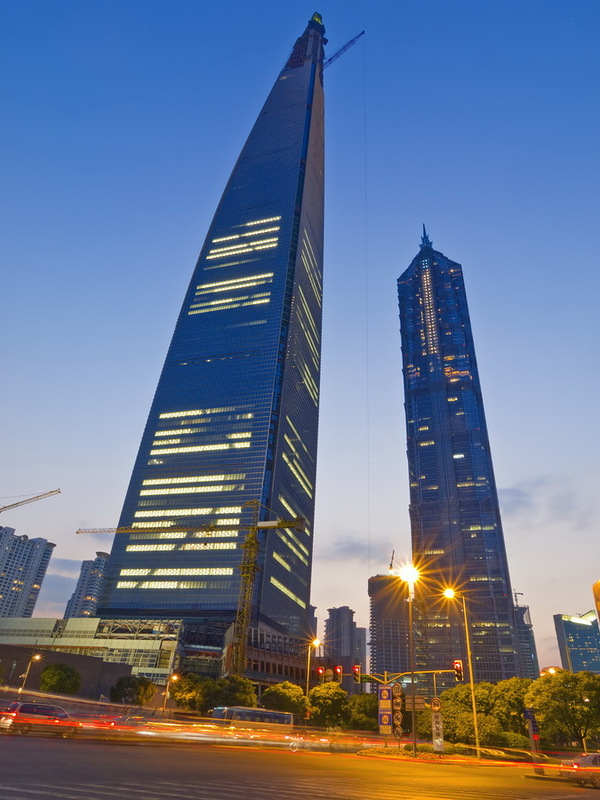 It is ranked as the fourth tallest building in China, seventh in Asia and eighth in the world. This building is part of a complex which has two other 38-story residential buildings. CITIC Plaza has two antennas on the top like spires. This elegant building is surrounded by several other tall buildings and gives an indication of the increasing prosperity of Guangzhou. It is close to the Tianhe Sports Center where part of the Asia games 2010 will be held. 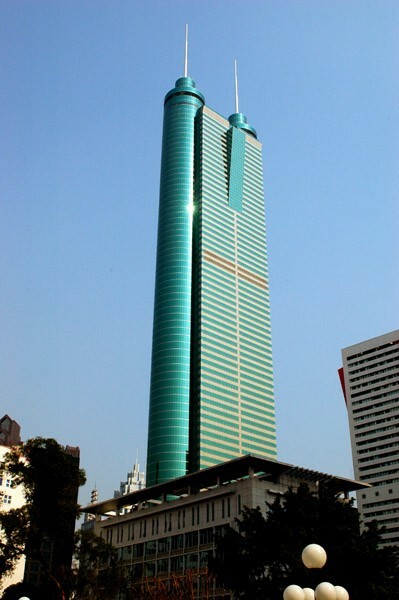 The Shun Hing Square tower, built in 1996, is one of the world’s tallest buildings and occupies the 9th place currently. This brilliantly constructed building is in Shenzhen, China and is said to be one of the most beautiful buildings in the world. It has the distinction of being the tallest all-steel building in China and the fifth tallest building overall in China. An interesting tid bit about this building: it was built at an incredible speed of four floors in nine days. The spires on the top of the building add to the height and without them, it stands at 325 m tall. Shun Hing Square is a complex that has an office tower and another 35-story building for residential, office, and retail purposes. The 69th floor has an observation deck called the Meridian View Center. Tourists will have to pay US$12 to go up to that observation deck. 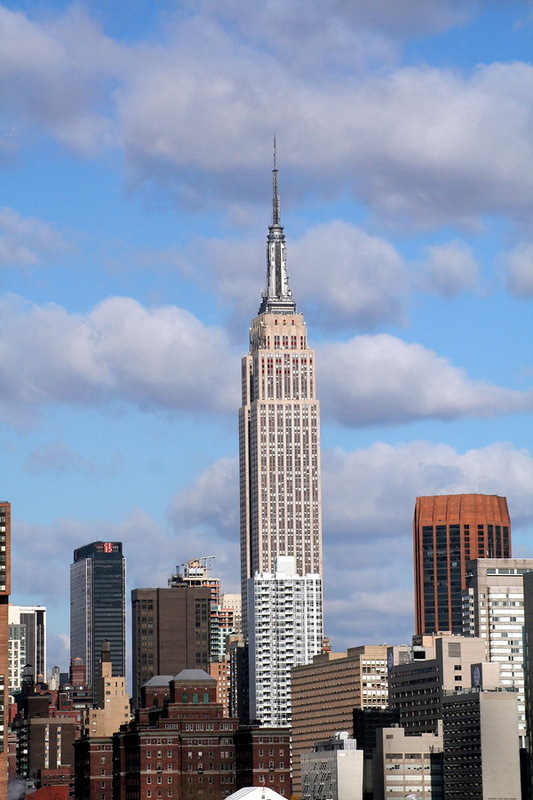 The Empire State Building of New York, in the United Stats was built in 1931, and it is one of the oldest and most famous buildings in the world. There probably aren’t many people who have not heard of it. Now rated as the 10th tallest building, it was the world’s tallest building for forty-one years until the World Trade Center was constructed in the year 1972. After the unfortunate incident with the World Trade Center in 2001, the Empire State Building once again became the tallest building in the State of New York. It has also been named as one of the Seven Wonders of the Modern World by the American Society of Civil Engineers. The beauty of the Empire State Building is highlighted by the beautiful lights at the top of the building. In fact, the view of the building at night is considered to be a tourist attraction all on its own. Standing tall among all others is another marvel, the Burj Dubai Tower in Dubai, United Arab Emirates. It is still under construction and will not be considered the tallest building until completion in September 2009. It already has 160 stories and overtook Taipei 101 and surpassed the KVLY-TV mast in the U.S. (which is 629 m), achieving the status of being the tallest man-made structure on the planet. The eventual height remains a secret, but speculation is that it will reach 900 meters. There may be a magical moment in the future. The plan for the proposed Sky City 1000 by Japan shows its height at 1000 meters and 196 floors. We’ll just have to wait and see. EDIT: The Burj Dubai had a delayed opening. It’s name has been changed to the Burj Khalifa, and it officially opened and became the world’s tallest building on January 4, 2010. It stands at 828 meters (2717 feet) tall. You can view a picture of the completed building below. it is very beautiful and I would like to visit Dobi and see life Burj Khalifa . History of world man has been trying imagining ‘tallest tower’ or ‘tallest structure’ in the world. That type of tower itself make golden sweet in natural. great picture of the tallest towers! I like it! Tallest in the world will also be in chicago, the hole in the ground has already been made, and they have started contructing now. Sorry dude, wont be the tallest. so very tall building huh!!!!! !……………very nice to see it in personal……..!!!!! Aww!! Human’s Creature is mind blowing and I must say that,i love burj kahlifa tower. I wish that I could go there.. Anyway, Thanks for sharing this. this building is very BIG BUT INDIA TOWER IS THE II BIGGEST BUILDING IN THE WORLD HIS 126 FLOOR . but the pictures are given like as a side by side. dubai is beautiful,blessed land to live in. being a civil engg, feel proud……….. I think some of this is wrong, I don’t know when this was written, but the Burj Khalifa is the tallest structure currently. And eventually the Freedom Tower will be the 2nd tallest and tallest in the west. Taipei 101 is the 2nd of the list the 1st should be Burj Khalifa.Because Burj Khalifa is 828m.Right? lodha place is gonna be the world’s tallest residential buiding in the world and its gonna be located in mumbai,india. It would be so much interesting if someone designed a building that has a height that equals todays sky scrappers but it is also big in area covered on the ground. A kilometer on each side and a height of 600 mtr would create fascinating architecture. It will have its set of challenges, to get fresh air and sunlight to all. I luv this work, my regardz to the design team. OMG !!!!!!!!!!!!!!!!!!!! how tall these buildings are………………. Lovely post with amazing pics. I just love it. I visited Willis tower of Chicago but I am eager to visit all other towers once in a lifetime. China is also going to build the most tallest building in shortest time 90 days. Yeeaahh! Really Really wonderful Tallest Buildings! I love them very much.But this list added not coming in INDIA so i am not full happy……..
Doesnt matter which are the tallest but I really love this article…it described the buildings with so much passion. It was pleasure to read the simple & fair comment on our proud building : Petronas Twin Tower.